With capitalism in crisis - rising inequality, unsustainable resource depletion and climate change all demanding a new economic model - the Social and Solidarity Economy (SSE) has been suggested as an alternative. What can contribute in terms of generating livelihoods that provide a dignified life, meeting of social needs and building of sustainable futures? What can activists in both the global North and South learn from each other? 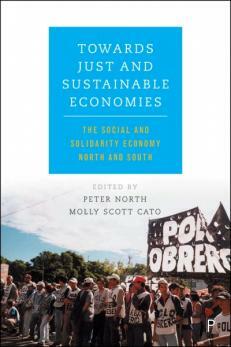 In this volume academics from a range of disciplines and from a number of European and Latin American countries come together to question what it means to have a 'sustainable society' and to ask what role these alternative economies can play in developing convivial, humane and resilient societies, raising some challenging questions for policy-makers and citizens alike.